Morning Report: Amazon spent a lot of money on a thing called Ring. Who put money into it? These folks. The Show That Shall Not Be Named missed the boat on Ring, a WiFi-connected doorbell company. But 21 individuals and groups did not. And now that Amazon has spent over $1 billion on the smart home company, those folks made out pretty well. But too often we don’t really spend much time looking at the folks behind the deal. So in that vein—and bearing in mind the usual Crunchbase News disclosures given that some of these people might own part of our parent company—here’s the list, first of rounds, and then investors, that Ring picked up before it exited to one of Seattle’s giants. For reference, that sums to $209.2 million, giving Ring a roughly 5x multiple on invested capital. For how that fits into the greater constellation of exits, check here. And here’s the list of who put capital into the company, in paragraph form, as bulleted lists get long in the tooth after the fifth entry. From top to bottom: Kleiner, First Round, Goldman, CRV, True, Felicis, Qualcomm Ventures, Upfront, VTF Capital, QueensBridge Ventures, Cherubic Ventures, DFJ Growth, Shea Ventures, Virgin Group, Amazon Alexa Fund, Grishin Robotics, Sidekick Fund, American Family Insurance, Konstantin Othmer, and Stephen Russell. Look at all those people smarter than a stupid television show. Post updated to remove an individual incorrectly included in the investor list. Amazon will acquire Ring, the heavily-funded maker of video and connected doorbell products, in a deal reportedly valued at slightly over $1 billion. Santa Monica, Calif.-based Ring, founded in 2012, previously raised more than $200 million in venture funding. ICOs may get all the attention. But traditional venture funding rounds for blockchain-related companies are on a tear as well. 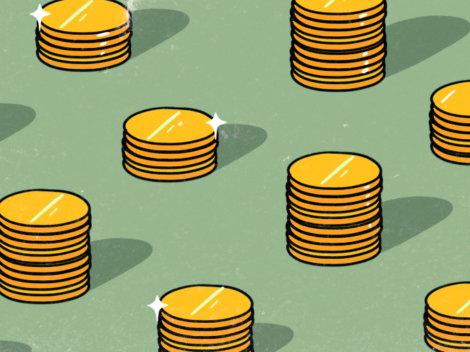 So far this year, VCs have pumped close to $400 million into companies in the space, on pace to surpass last year’s record-setting totals, a Crunchbase News analysis finds. China-based video content provider iQiyi is seeking to raise up to $1.5 billion in an IPO on the Nasdaq exchange. The filing follows years of steep losses for the business, which is majority-owned by Chinese search giant Baidu. Aurora, a Silicon Valley-based developer of self-driving car technology, has raised $90 million in a Series A funding round backed by Greylock Partners and Index Ventures.